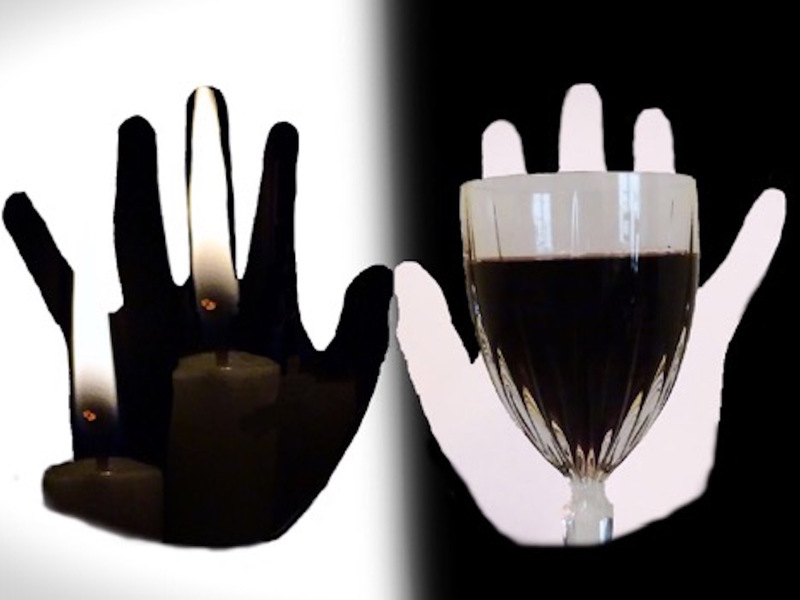 Honors, happenings, comings & goings — Jan. 2019 – J. 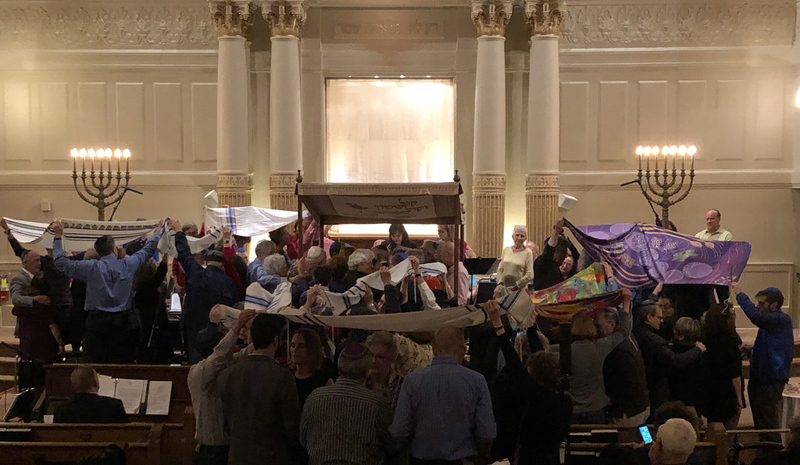 More than 20 couples gathered Dec. 21 under a chuppah at Temple Sinai in Oakland to renew their wedding vows. The couples were serenaded by Cantor Ilene Keys and the Temple Sinai adult choir in the “Renewal of Vows: Jewish Love Songs” program. Fourth-graders at Contra Costa Jewish Day School created a garment to represent how Jews express symbolism, identity and ritual. The project, part of the Jewish Wearables Design Challenge at the Contemporary Jewish Museum in San Francisco, was designed for the young students to consider how clothing and adornment represent culture and identity. Their creation was made of recycled materials they brought from home, including beads, fabric and metal scraps. The students called their project “Wrapped in Tradition” and it was selected for display at the CJM. Members of Congregation Beth David in Saratoga, Congregation Shir Hadash in Los Gatos and Temple Emanu-El in San Jose participated in an Interfaith Ladies Night Out event in mid-December to benefit survivors of the deadly and destructive Camp Fire that swept through Paradise and other areas in November. Muslim and Christian volunteers joined in the event, which attracted more than 250 women to a church in Sunnyvale. The volunteers collected more than $2,000 in gift cards and stuffed 216 backpacks that were distributed to students in Paradise. Rabbi Chai Levy will be installed at Congregation Netivot Shalom in Berkeley on Sunday, Jan. 27. Levy was chosen last spring to replace Rabbi Menachem Creditor, who is now scholar-in-residence at UJA-Federation of New York. 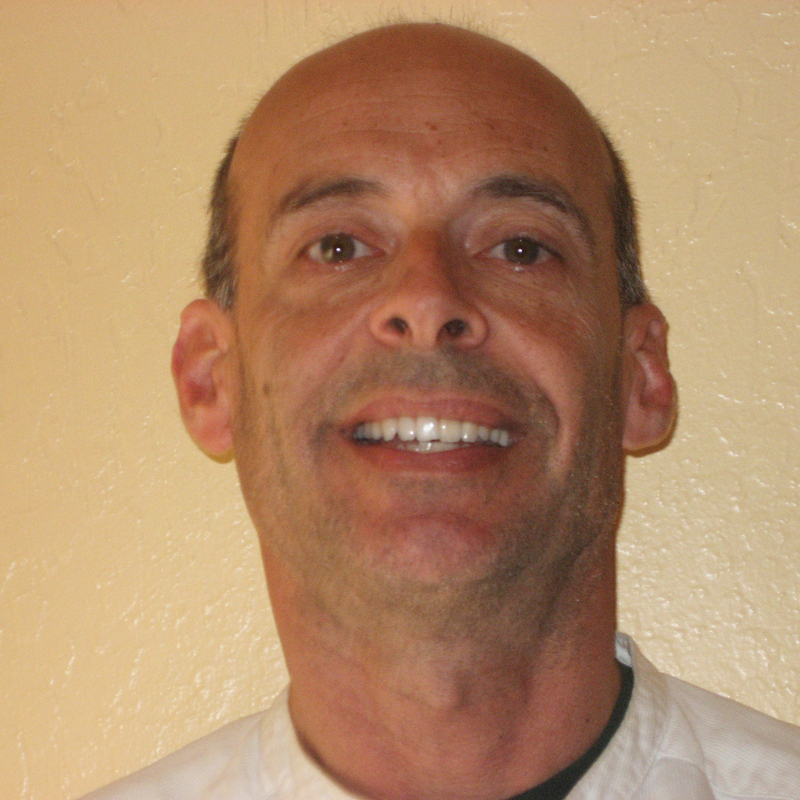 Levy had been on staff at Congregation Kol Shofar in Tiburon since 2002 before making the move to Netivot Shalom. A Palo Alto school has been renamed in honor of Ellen Fletcher, a Holocaust survivor who went on to become a Palo Alto council member. Ellen Fletcher Middle School marked the renaming with a December ceremony on what would have been Fletcher’s 90th birthday. Fletcher escaped the Holocaust as part of the Kindertransport, then moved to New York after World War II and came to Palo Alto in 1958 with her husband, an electronics engineer. She became an activist for bicycle safety, lobbying for the Palo Alto bike boulevard that is now named for her. Fletcher died in 2012. Students were urged to walk or bike to school on the day on which the school was renamed in her honor, and the school’s PTA donated a new bike repair station and skateboard rack. Two Bay Area educators — Adam Eilath, dean of Jewish Studies and Hebrew and director of strategic initiatives at Jewish Community High School of the Bay, and Nicki Greninger, director of education at Temple Isaiah in Lafayette — are among the 15 people selected for the new class of the Wexner Field Fellowship. As part of the program run by the Wexner Foundation and developed in partnership with the S.F.-based Jim Joseph Foundation, Eilath and Greninger and their peers will receive professional development and education in leadership and Judaic studies over the next three years. Council member at-large Rebecca Kaplan has been unanimously elected president of the Oakland City Council, becoming the first openly LGBT person in that position. Kaplan has run twice for Oakland mayor, finishing third in 2010 and second in 2014. She first was elected to the city council in 2008. Council member Dan Kalb was elected president pro tempore of the city council. 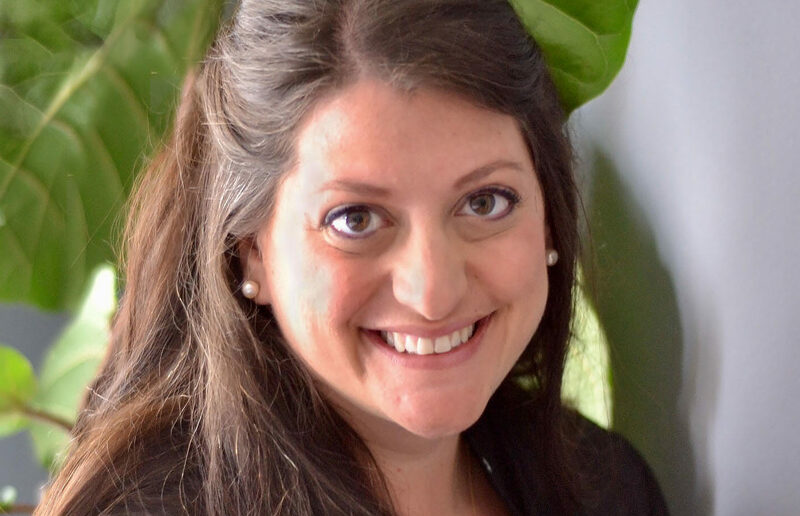 Rabbi Rebecca Joseph has been selected as the fourth Shamash Resident by the JCC of the East Bay. The Shamash Residency, supported by funding from the Laszlo N. Tauber Family Foundation, gives a local rabbi, scholar or educator the chance to offer Jewish learning to the JCC staff and community. Joseph, who has three decades of experience in program design, fundraising and leadership development, will be in the position until June. Her current projects include a book of Torah commentary with recipes for the home baker and a culinary companion to the Talmud. Rabbi Dorothy Richman, who serves as the rabbi of Makor Or: Jewish Meditation Center in San Francisco and teaches Torah widely in the Bay Area, will be on the faculty at the new Romemu Yeshiva in New York City. Romemu Yeshiva combines rigorous text study, deep prayer and Jewish mindfulness-based practices. Richman previously served as rabbi for Berkeley Hillel and Congregations Sha’ar Zahav and Beth Sholom in San Francisco. Two administrators at the Ronald C. Wornick Jewish Day School in Foster City have been chosen to participate in professional development programs. 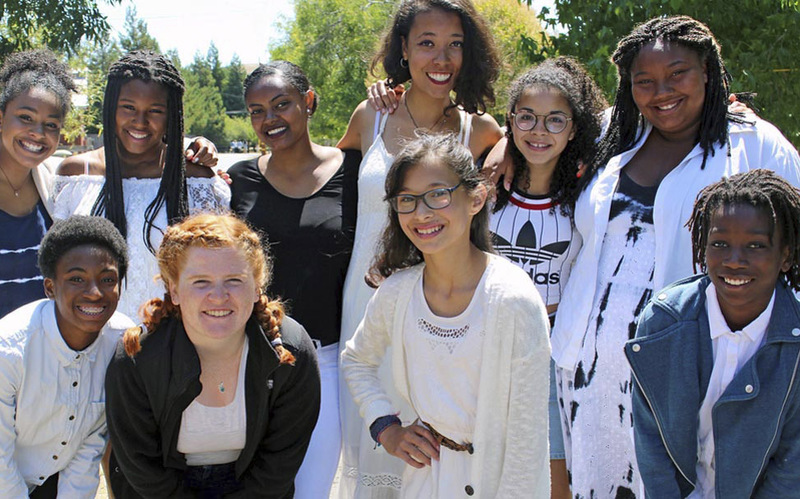 Principal Nicole Haire will be a member of the second Reshet cohort, a yearlong local program funded by the S.F.-based Jim Joseph Foundation and the S.F.-based Jewish Community Federation that supports professionals who work with young children. The school’s STEM coordinator, Corine Brouwer, has been accepted into the initial cohort of the Certificate in Jewish Leadership for Educators through the Spertus Institute and Northwestern University. The program is also supported by the Jim Joseph Foundation and offers a rigorous examination of leadership principles in a Jewish context. Heidi Rabben has been promoted to the position of senior curator at the Contemporary Jewish Museum in San Francisco, replacing Renny Pritikin. Rabben will lead the museum’s exhibitions and curatorial department, working closely with executive director Lori Starr on planning exhibitions and engaging donors and audiences. This spring, Rabben will be an adjunct professor in the MFA design program at California College of the Arts. Pritikin is retiring after nearly five years as chief curator. Also at the CJM, Fraidy Aber has assumed the new title of the Constance Wolf Director of Education and Civic Engagement. Aber has been the CJM’s director of education since 2009. 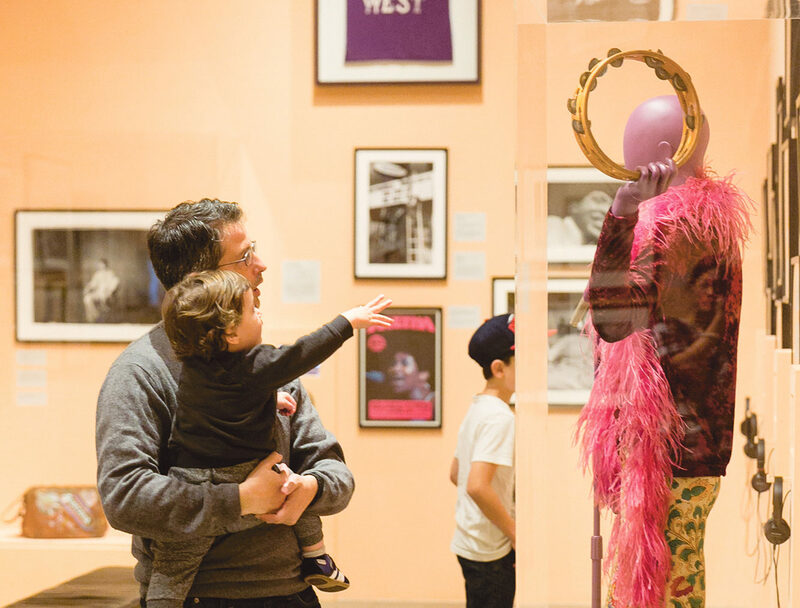 A legacy gift allowed officials to create the museum’s first named position, which was established in honor of Connie Wolf, director and CEO of the San Francisco institution from 1999 to 2011. Barbara Shragge has been appointed senior philanthropy adviser at the S.F.-based Federation, charged with building advisory relationships with clients, and with developing relationships with wealth managers and other professional advisers. Most recently a senior director for portfolio management with BNY Mellon Private Wealth Management, she is a third-generation San Franciscan, a UC Berkeley grad, a former trustee of the CJM and a board member of the JCC of San Francisco. Dorrit Geshuri has been hired as executive director at Chochmat HaLev in Berkeley. She has decades of experience in nonprofit management at Bay Area organizations such as the Center for Nonviolent Communication, the Writing Salon, Yavneh Day School and KlezCalifornia. Geshuri, who holds degrees in microbiology and biochemistry, launched her own company, Space Rocket Consulting, in 2013. She replaces Jen Roitman, who had spent the last seven years as executive director. Send items and photos for Our Crowd to ourcrowd@jweekly.com.